Here’s how to get “Live” function on TikTok app and answer to why you can’t go live on TikTok if you don’t have this many followers/fans. Anyone who signs up for TikTok has basic features such as Upload Video and create video from camera app but no Live functionality. Why Can’t I go Live on TikTok ? I can understand your question on “Why can’t i go live on TikTok?” because that’s what i get most of the people ask on Quora. The simple answer is, You can’t go Live unless you have 1000 fans on TikTok. Yes, the minimum number of fans required to go Live on TikTok is 1000. Before it was like anyone who get 1000 likes would get Live option. Now things have changed. So, now you know the reason why there’s no Live button on your TikTok app. Let’s assume you have 1000 fans on TikTok but don’t know how to go live on the app. How to Go Live on TikTok ? Tap ” Go Live ” option now. You’re set to go live now. I told you so, it’s very simple. How many followers needed to get Live function on TikTok ? You need to get 1000 followers to unlock Go Live functionality on the app. So unless you reach 1000 followers you will not be able to go Live on the app. Okay, i know i don’t have 1000 fans on tiktok but i want to know if there’s any tips or tricks to get 1000 fans on TikTok ? I’m going to list some basic but powerful tips which i followed myself to get 5100+ fans on TikTok as of January 26th, 2019. How to Get 1000 Followers on TikTok ? It’s not that difficult to get 1000 followers if you’re really focussed and dedicated. Make unique videos that is not a exact copy of what others are doing. Whether its a popular song like Rowdy Baby from Maari 2 or a famous comedy dialogue, pick anything that’s on trending. Informative: Make info videos, it’s rare in TikTok, very easy to reach. Eg:) How to tips, guides, short info on a place/food/brand. Spread positivity, may be a motivational talk, productivity hack, let others find it useful,worthy to click that “Follow” button. Do give a follow on those who like but not following you, there’s a chance that you may be followed back. Following these simple 5 steps would bring you more than 1000 followers on TikTok with quality content. If you’re not sure on what topic you should be posting videos ? Let me know in comments. I’ll try to help you based on the feedback i get from you. Coming back to the story, many of you might wonder how some people go live on TikTok but i’m unable to find the option. May be i don’t know where the option is on Settings to enable Live option on TikTok. No, it’s not hidden or can be enabled from Settings Menu. But TikTok itself enables “Live” feature once a user reaches the minimum required followers of 1000. If i have less than 1000 followers can i get Live option on TikTok ? No, as said, you can’t see that option. Those who have less than 1000 followers on TikTok can’t get Go Live functionality. 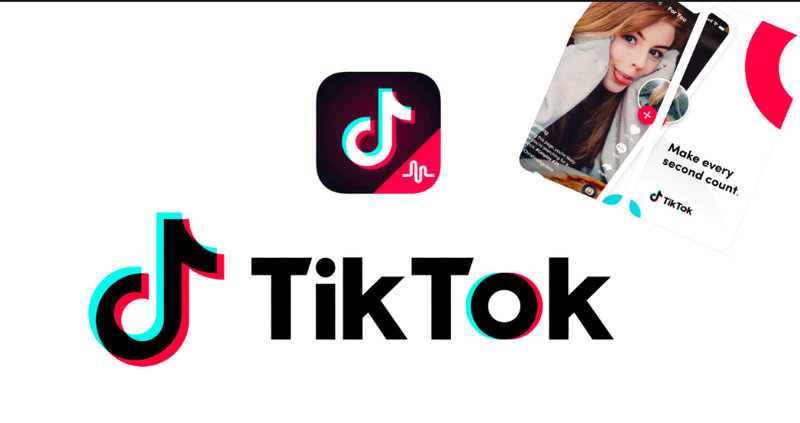 As of now, there are dozens of app which offer similar feature as TikTok, even there’s report going rounds that Social Media Giant Facebook is testing an app that’ll compete against TikTok. But only time will tell if there’ll be a facebook app to post short videos. For those who hear TikTok for the first time, TikTok is one of most popular short video publishing social platform. It’s gaining tremendous growth in India, especially among youths.